Gateway to Hope joined the Saint Louis Football Club on Wednesday, October 10th for a game at World Wide Technology Soccer Park. A portion of ticket sales and a percentage of pink merchandise benefitted Gateway to Hope in support. 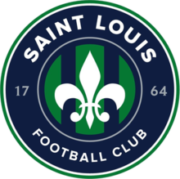 Thank you Saint Louis FC for your support of breast cancer patients in our community! https://www.saintlouisfc.com.